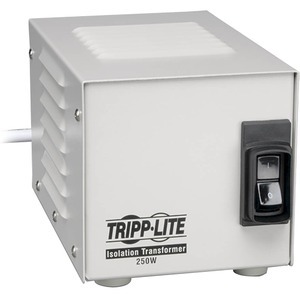 Tripp Lite Isolator series UL2601-1 listed Hospital Grade isolation transformers offer line isolation, continuous noise filtering and enhanced common mode surge suppression. Internal low-impedance isolation transformer component offers 100% isolation from the input AC line. Full UL2601-1 medical grade listing with hospital-grade plug and outlet receptacles makes Isolator Hospital Grade transformers ideal for the protection of sensitive electronic equipment in patient-care areas. Isolation transformer with Faraday shield reduces the cumulative leakage current of the Isolator and connected equipment to levels below 300 microamps. 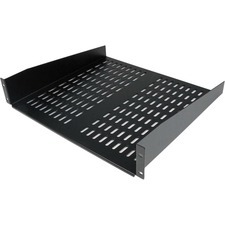 Secondary neutral to ground bonding virtually eliminates common mode noise, providing an isolated neutral-ground reference for sensitive equipment and an inexpensive alternative to the installation of dedicated circuits and site electrical upgrades. Removes EMI/RFI noise, utility switching transients, and harmonics generated by other on-site loads and utility or lightning related surge conditions.